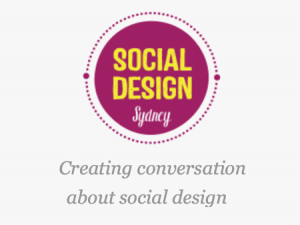 Social Design Sydney connects people passionate about social change. We run regular events with practitioners and experts sharing their experiences. Sign up to our enewsletter below to find out more. 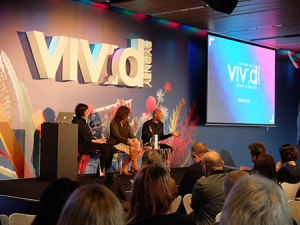 We have been presenting social design case-studies and masterclasses since 2013. If you would like to apply to present, apply here now. 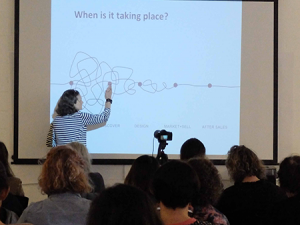 We run workshops on specific methods for tackling complex issues, run by experienced practitioners. Join our newsletter (below) to keep up to date with our own and other relevant events and resources. All our talks are posted on YouTube. Join the conversation on our facebook group and twitter feed. 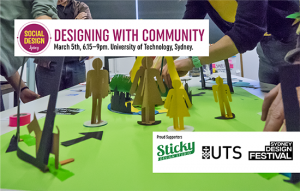 How might Design practices function as inclusive strategies to support Community participation in design and development of community focussed initiatives? 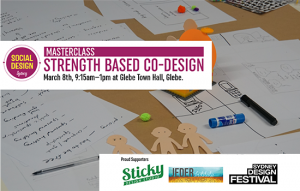 This Masterclass will look at two complementary participatory practices, Asset Based Community Development and Co-design.